Currently 4 out 5 minutes spent on social media activity is on Facebook. Smart marketers know that the key to advertising success is to be where the eye balls are. With the ease of creating website like pages that can be HTML, Java or CSS nothing is stopping businesses from setting up shop on Facebook and create an experience almost as rich as on their current domain. A few years ago nobody thought Twitter would survive the Facebook onslaught but in the past year or so, Twitter has been tentatively experimenting with various ad formats, and now it’s found the formats that work for advertisers and consumers and I expect them launch an all-fronts campaign in 2012. 2012 will see Twitter generate some huge revenues! A solid CRM is mission critical for any business. Traditional CRM’s have only focused on making and recording the sale. In 2012 we will see a totally integrated CRM that will follow a customer through all stages of customer engagement and will track and communicate via their social networks. Along with and because of increased App usage, marketers will pay special attention to mobile marketing. Specifically in-App advertising platforms, like Ad-mob, will become more popular. Softwares and companies will pop up that will specialize in developing “mobile marketing” and take your current marketing collateral and convert it to a mobile format such as your: website, videos, brochures. Crowdsourcing will see new applications. For example world medical problems will turn to crowdsourcing to help find solutions…just like they did for the solution to the “folding protein” problem with the AIDS virus. 2011 saw a new niche of crowdsourcing pop up called ‘crowd funding’ (where multiple people around the world fund a project) Ie-Kickstarter. 2012 will see more niche crowdsourcing applications develop. Did you know you can crowdsource your facebook ads (have people create them for you)? With so many people turning to the cheap and low barrier to entry “online marketing”, the traditional direct mail medium’s landscape has seen a sharp decline in competition. I predict smart marketers will turn to direct mail advertising more and integrate it with “online marketing” strategies. So what do you think? Do you agree or Disagree? What are some of your predictions? I will personally mentor you to conquer your market place in 2012 with Business Growth Strategies like: Persuasive Presentations, Video Marketing or Public Speaking. I am accepting just 2 (two) more Mentor students. In 2012 price is increasing, so do it today. I agree with everything you have said. I have been investing heavily in Mobile Marketing technology – Websites/Text/Apps so I can bring them to my client base of SMB's. Local Marketing(SEO), Social Marketing and Mobile Marketing are converging. 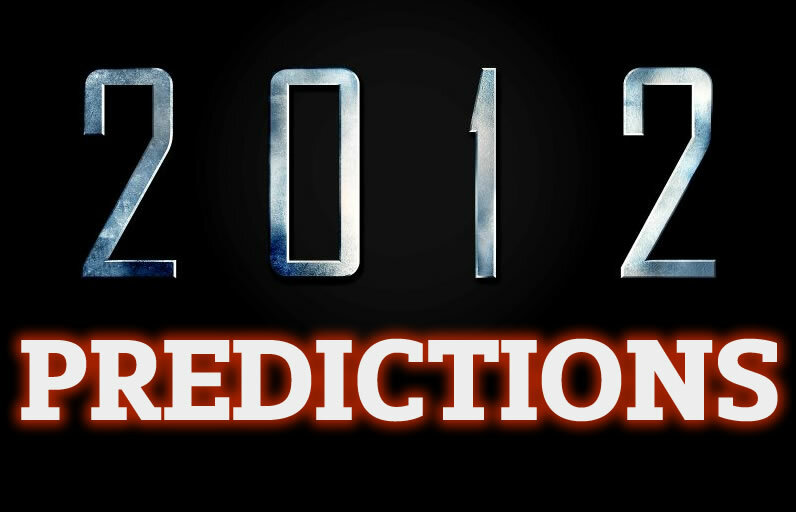 Businesses need to engage in these new technologies and marketing systems if they are to survive in 2012 and beyond. For the next few years the world is going to struggle economically, SMBs need to adapt or die. Good luck with your business ventures in 2012. Of course YOU are already ahead of the game, you're the smartest guy I know when it comes to SEO/web marketing!! I also think we will see an increase in competitiveness as people get better at and the company that can MEASURE the impact (to know what is working/not working) is going to dominate their space. Best to you too in 2012! !